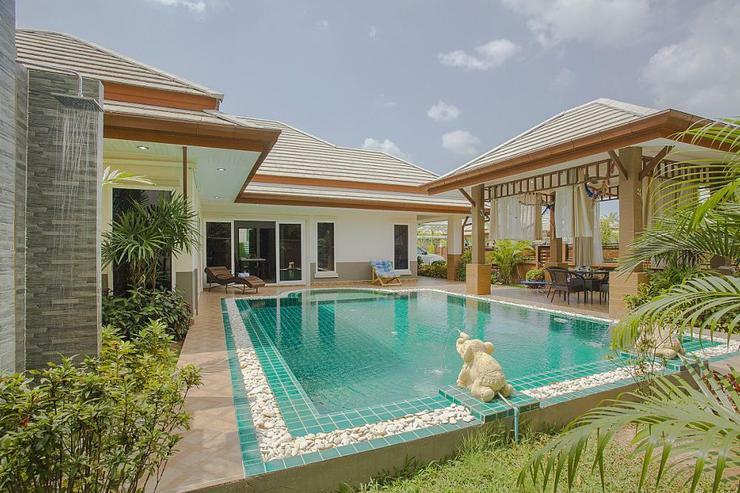 The location of this villa is one of our most unique. 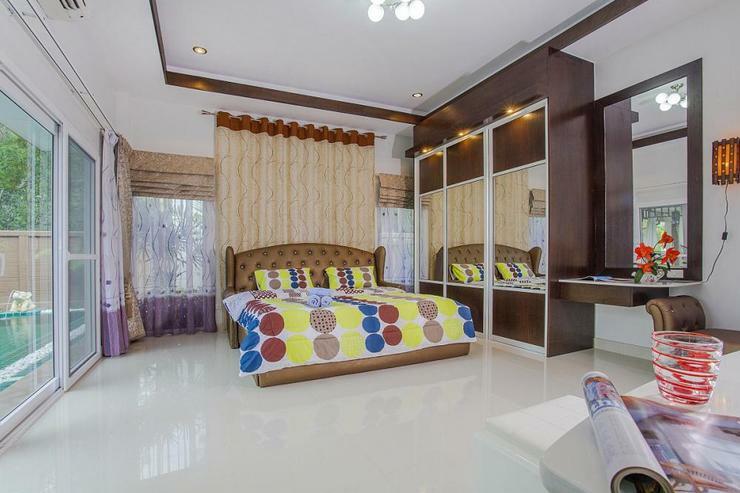 Situated in the stunningly scenic countryside in Bangsaray, near to Silverlake Vineyard and Buddha Mountain, just a 5-minute drive from Ban Amphur. 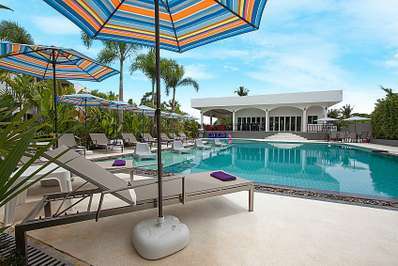 There is a Russian restaurant and coffee shop on the road outside the development and some fine international and seafood restaurants a bit further away near the Sai Kaew Beach. 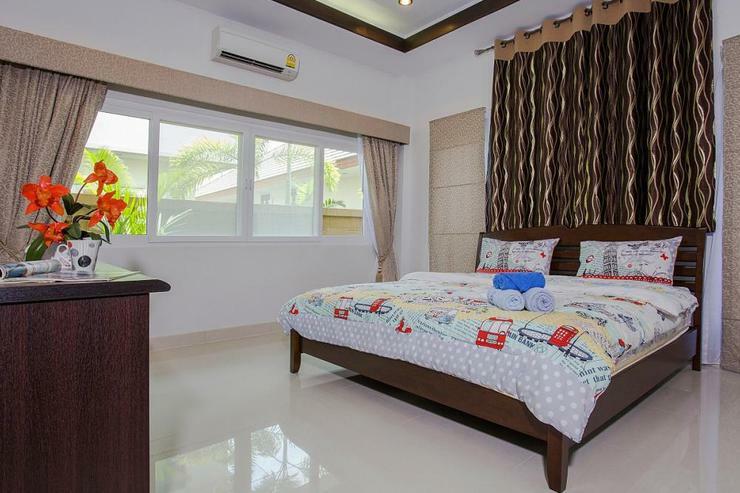 This is a family-friendly location in a beautiful and tranquil countryside area, also perfect for golfers with Phoenix GC, St. Andrews 2000 and Rayong Green Valley all just a 10-minute drive. 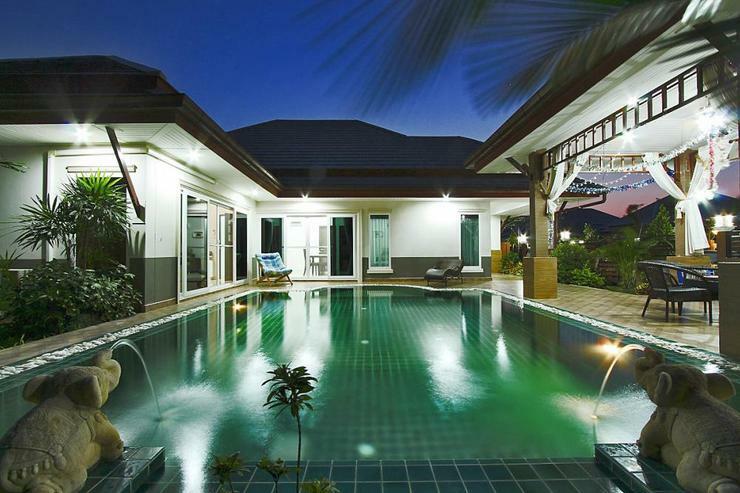 When you meet Thammachat Vints Villa for the first time, it will be a match made in heaven. 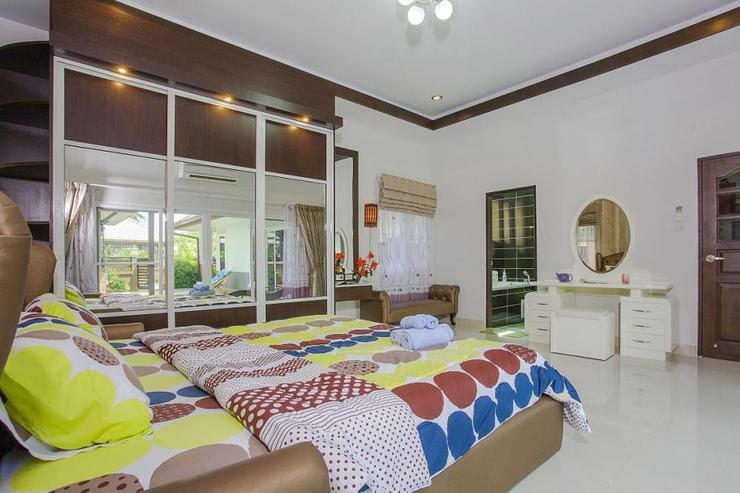 Located in some of the most beautiful countryside in the Bangsaray area, just 5-minutes from the beach but much closer to Silverlake Vineyard and Buddha Mountain, this is a tranquil and relaxing Thailand villa rental for those seeking the space to really unwind. 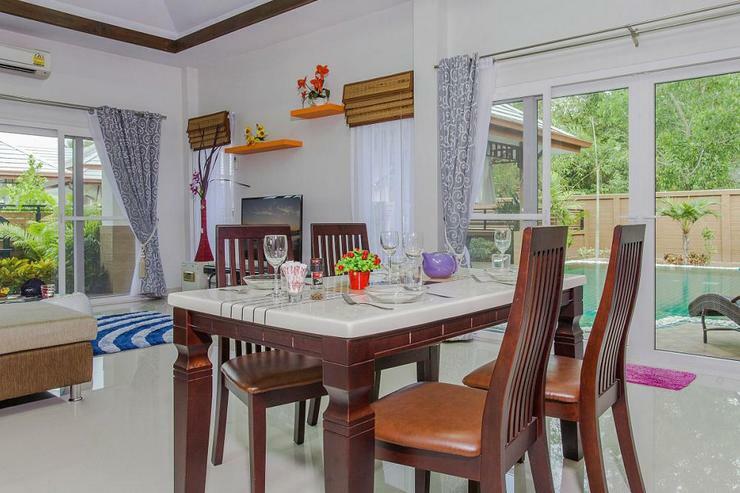 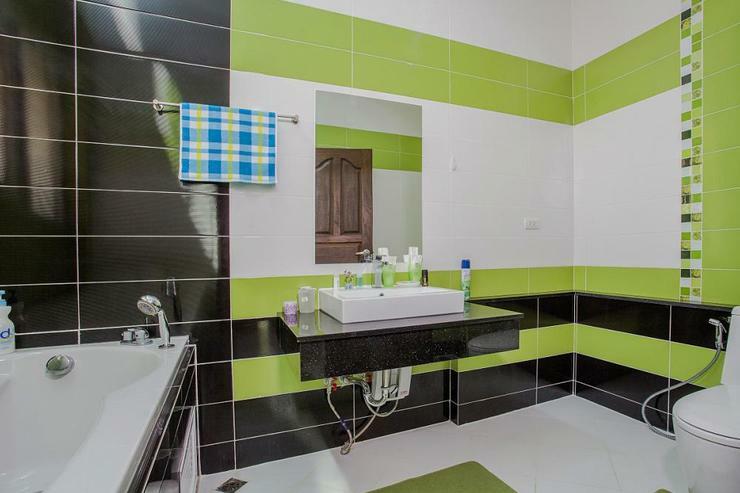 With 3-bedrooms that sleep 6 people, this rental villa is ideal for a group of friends or a small family. 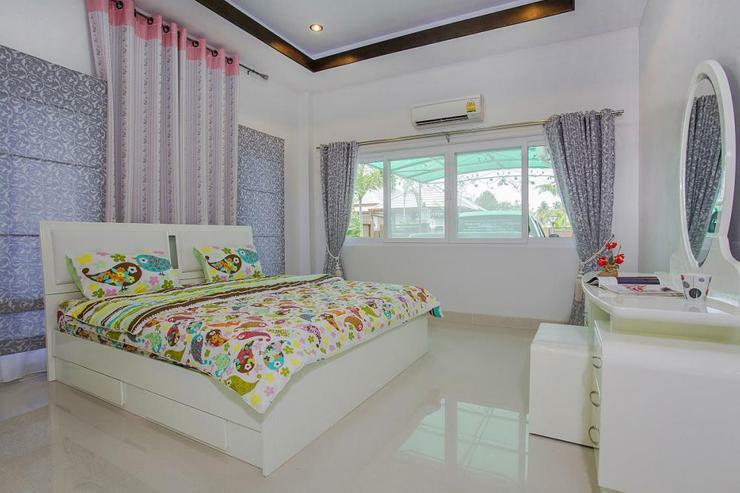 Alongside the 3 bedrooms, there are 2 bathrooms, a lounge, kitchen and dining area, and a cozy garden that is home to a private swimming pool with a kid’s section, sun loungers and a beautiful Thai sala, for when you fancy a bit of shade. 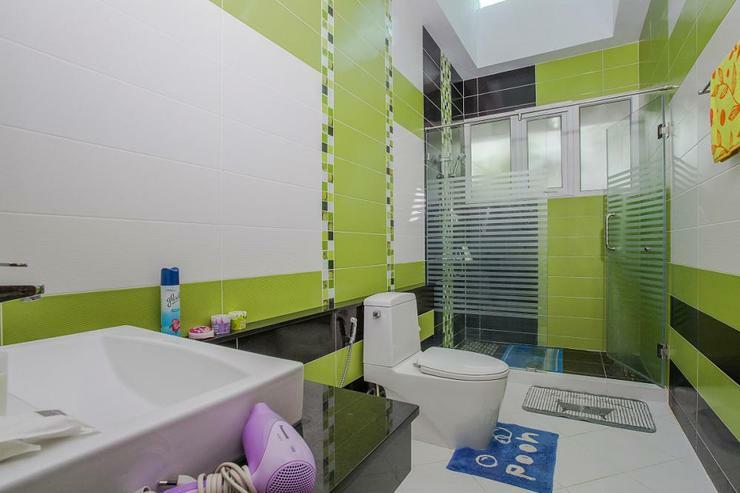 This world-class development has a great choice of communal facilities that include a gymnasium, a swimming pool and children’s playground, all close to the estate’s onsite lake. 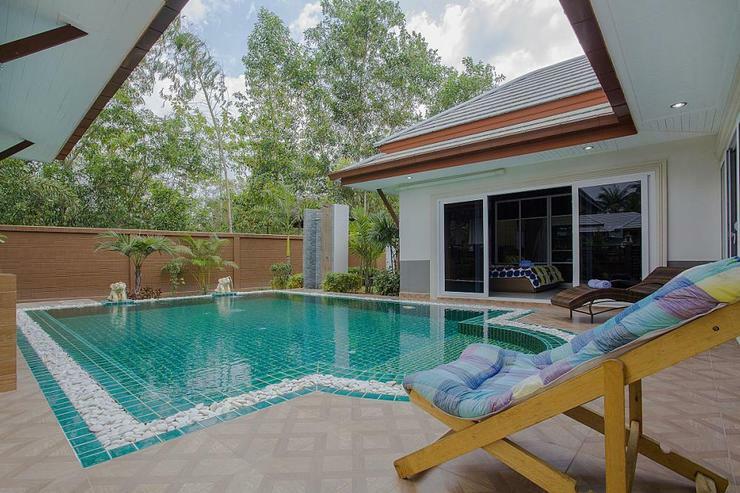 Merging a secluded and prestigious atmosphere with luxury and a location in the heart of the countryside, this villa rental in Bangsaray is a great choice for your Thailand holiday. 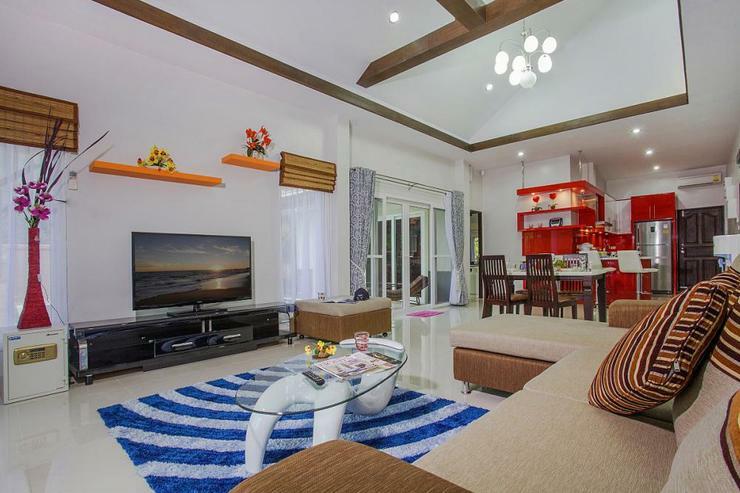 The location of this villa is on a world-famous residential estate in the heart of the Bangsaray countryside near to Silverlake Vineyard and Buddha Mountain. 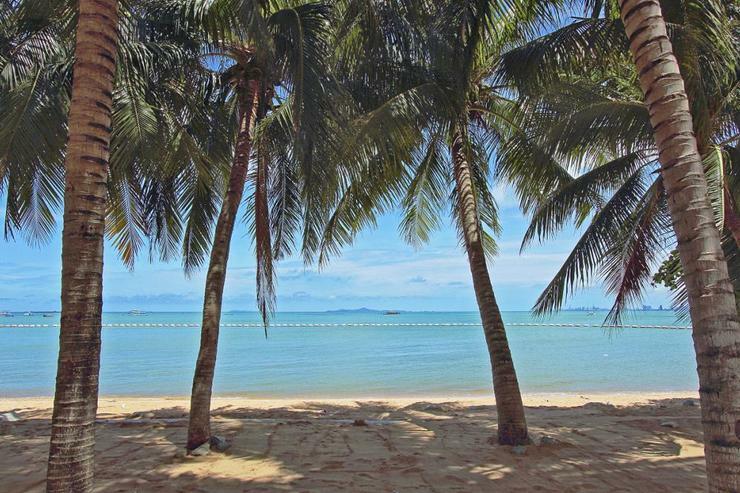 In approximately a 5-minute drive, you can visit the beautiful Bangsaray Beach where there are a few bars and some excellent seafood and international restaurants. 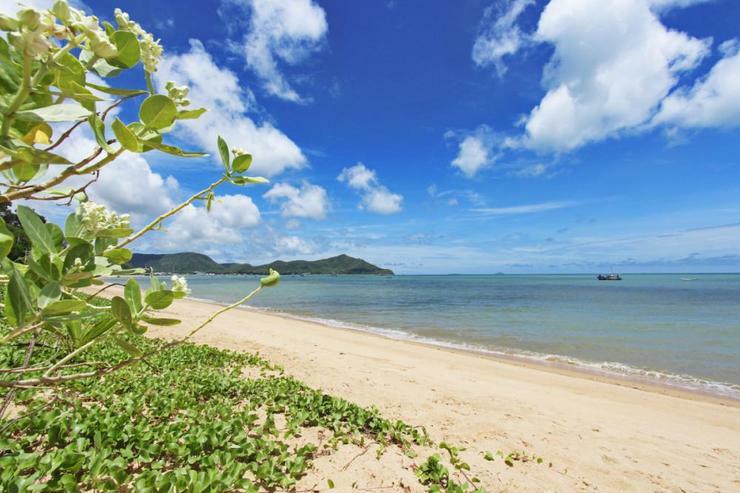 Jomtien and Pattaya are a 20 and 30 minute drive from the villa respectively. 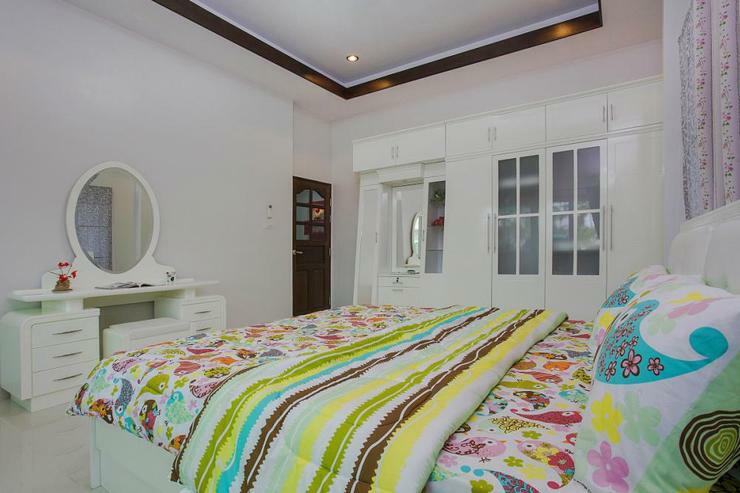 This is a location ideal for those seeking peace and quiet, perfect for families. 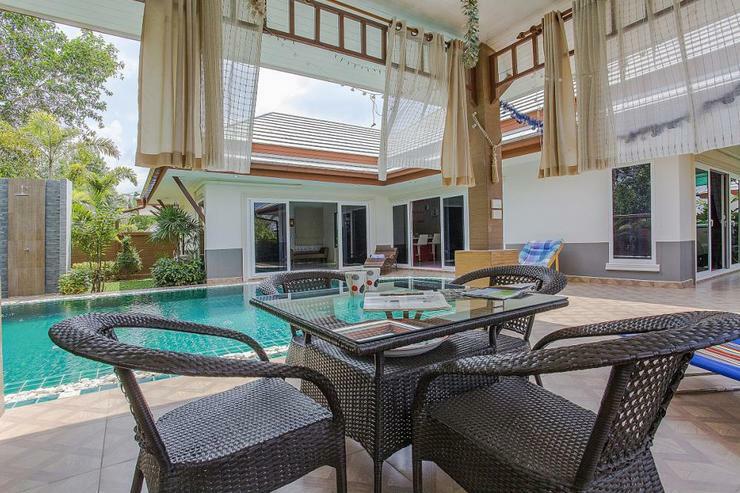 With the golf courses of Rayong Green Valley, St. Andrews 2000 and Phoenix GC just a 10-minute drive, this is a villa for those who like to play golf. 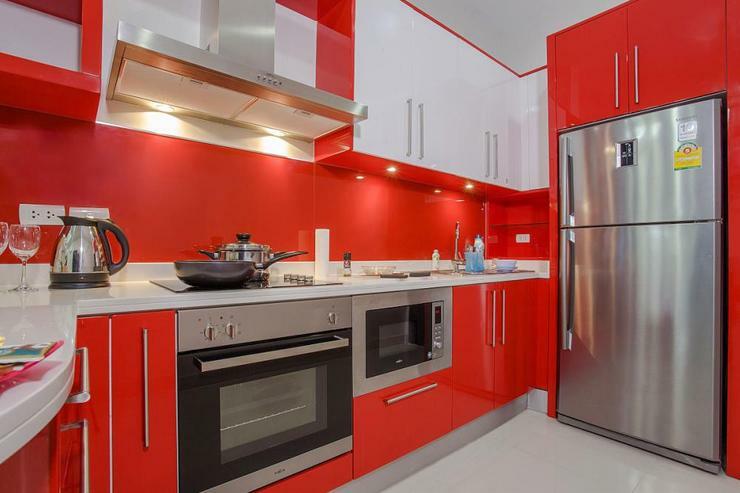 Just outside the development, there is a coffee shop and Russian restaurant.